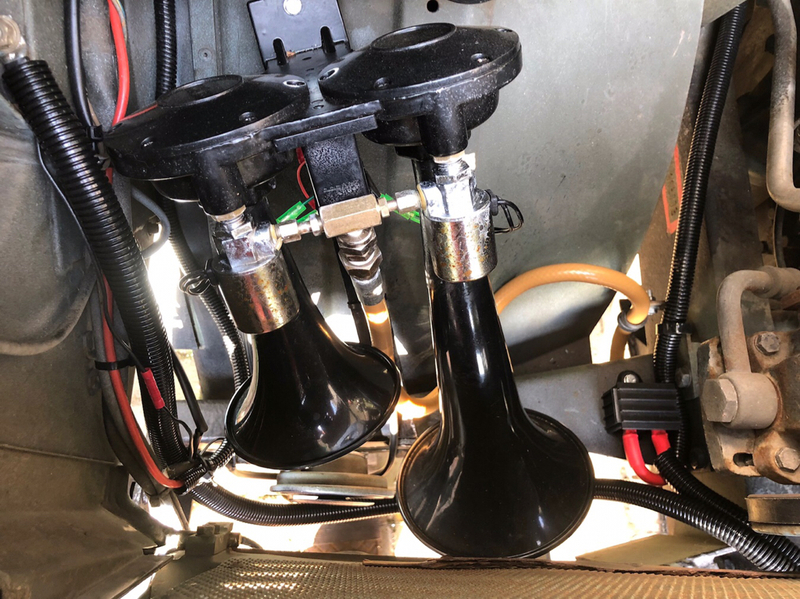 Once I had discovered an existing glad hand coupling at the front of my U1300L, I decided that would be the simplest way to fit an air horn, without the need for an additional electric compressor or air tank. 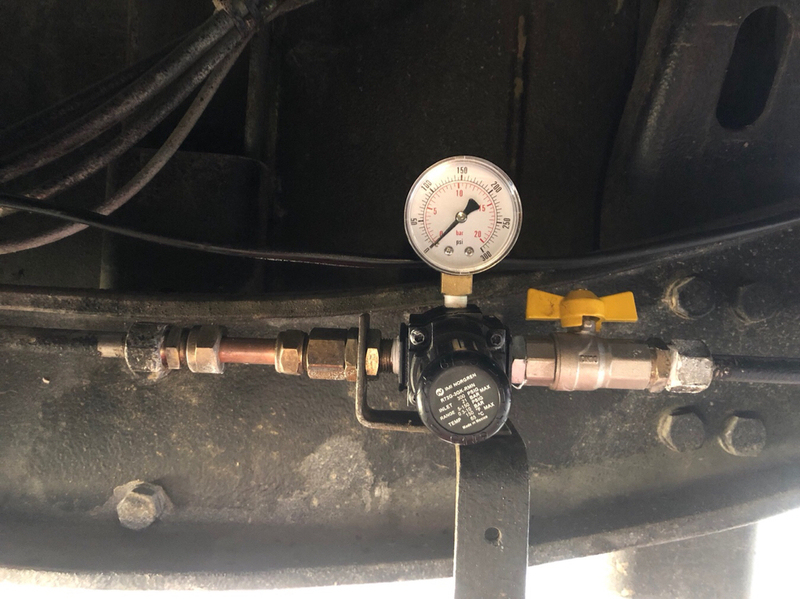 I couldn’t find a maximum operating pressure for an air horn but figured 18bar was likely to be on the high size and fitted a pressure reducing valve where the non return valve used to be. I’ve set the PRV to 10 bar which seems more than adequate. I replaced the front glad-hand coupling with a PCL Airflow coupling for tyre inflation or similar. There are a few small air leaks on some of the fittings so when I get a chance I’ll add a liberal quantity of PTFE tape to all threads. 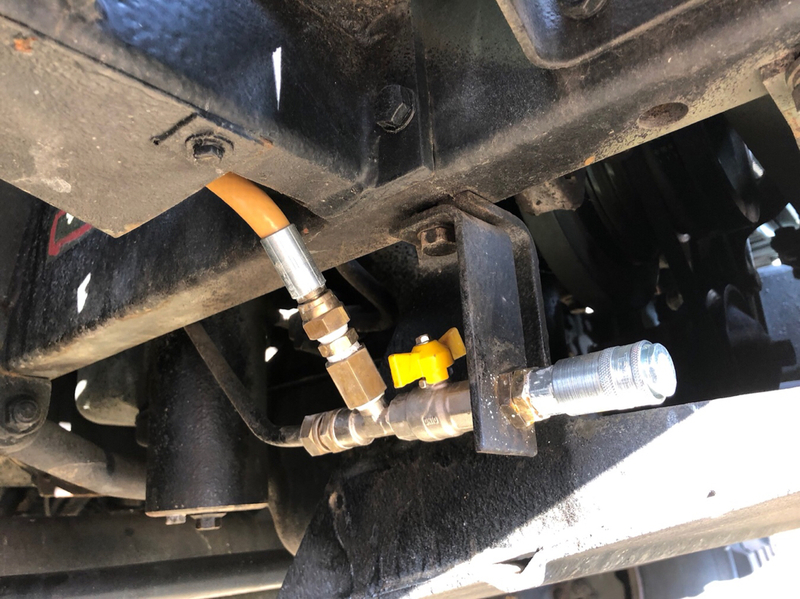 In the cab I’ve added a compact 2-way switch to enable switching between the standard electric horn (required for annual UK MOT test) and the air horn.